The workshop can be held at a venue of your choice, or up to 15 can be accommodated in the Type Tasting Studio, The Chocolate Factory, London N16 7SX. 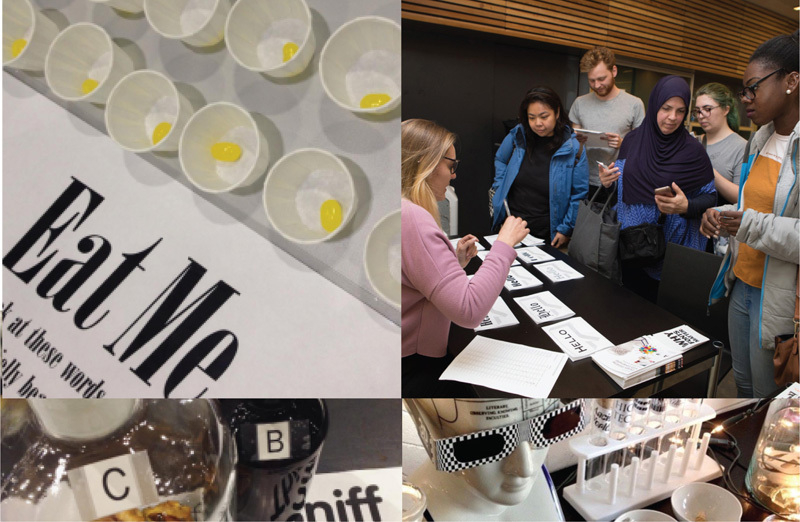 Type Tasting Learn, socialise & create sessions take a typeface or type style and explore it in the context of popular culture and history to reveal the meanings beyond the letterforms. Refuel your team’s creativity with hands-on letterform exploration as they roll up their sleeves for a fast paced and fun session away from the computer, experimenting with typography. Explore how typography can be used to give angst and rebellion a voice, and how you can use type to ensure that YOUR message is heard. You will learn from recent history how typefaces both articulate and document change, and what an important role they have played. From the anti-establishment angst of Punk, the placards of the miners’ strikes of the 1980s, the wine industry’s seismic shift through language and design, to the successful presidential campaigns in the USA. 15 mins Mingle and relax whilst playing a couple of classic Type Tasting games. 45 mins Typographic rebellion talk by Sarah Hyndman. 90 mins Hands-on creative session exploring rebellious type and lettering. 30 mins Display work, finish with questions and a prize raffle. • Enjoy a social and creative team building session in a relaxed, informal environment. • Get away from the computer to explore a range of markmaking tools inventively and playfully. Research shows that writing and drawing by hand promotes creative idea generation and memory. • Explore different type styles and letterforms, and how these can be used in an expressive way. • This is a creative thinking refresher—a reminder of how to think creatively and on our feet without the preconceptions of the final outcome. Autotrader; BBC; Cass Art; D&AD; Ecole Intuit Lab, Mumbai; Interbrand; JML; M&S; Monotype; Save the Children; VIA University College, Denmark; Virgin Active. Sarah Hyndman is the founder of Type Tasting and the author of Why Fonts Matter. She is a graphic designer, writer and regular public speaker who is known for her interest in the psychology of typography and is involved in ongoing research with the Crossmodal Research Laboratory at the University of Oxford. 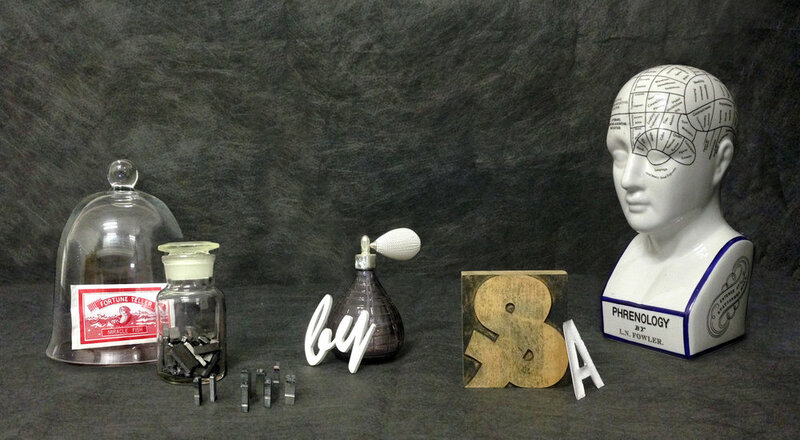 Sarah established Type Tasting as a forum for research, skill development and exploration. She shares her findings through her writing, public speaking, events and workshops, including workshops for the D&AD. Before setting up Type Tasting Sarah ran a design company for ten years. Sarah gained a distinction for her Master’s degree in Typo/Graphics at the London College of Communication (University of the Arts). She was subsequently invited back as a guest tutor to set up and run the yearlong Experimental Typography evening course, which she did for six years alongside her commercial practice. Watch: TEDx, Master Talk in Mumbai (3 mins), Nicer Tuesdays, Channel 4’s Sunday Brunch. Listen: BBC Radio 4 Saturday Live. Read: Wired ‘If You Love That Font So Much, Why Don’t You Date It?’ ‘If You Love That Font So Much, Why Don’t You Date It?’, CNN ‘How fonts could help you find the perfect date’the perfect date’, Creative Review ‘A taste of type’ ‘A taste of type’, iPerception ‘The Taste of Typeface’ ‘The Taste of Typeface’.